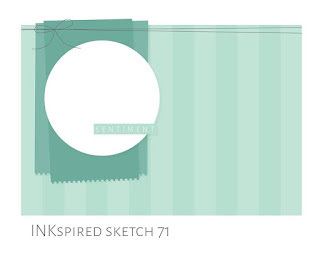 Welcome to the INKspired Blog hop. I’v been playing with the myths and magic bundle and I am having so much fun! My son has just turned two, and all his little mates at our mums group are having birthdays so iv been using this set heaps. Today I drew inspiration from the sketch our up line Teneale created for us. What do you think of this sketch, me personally I’m loving it. 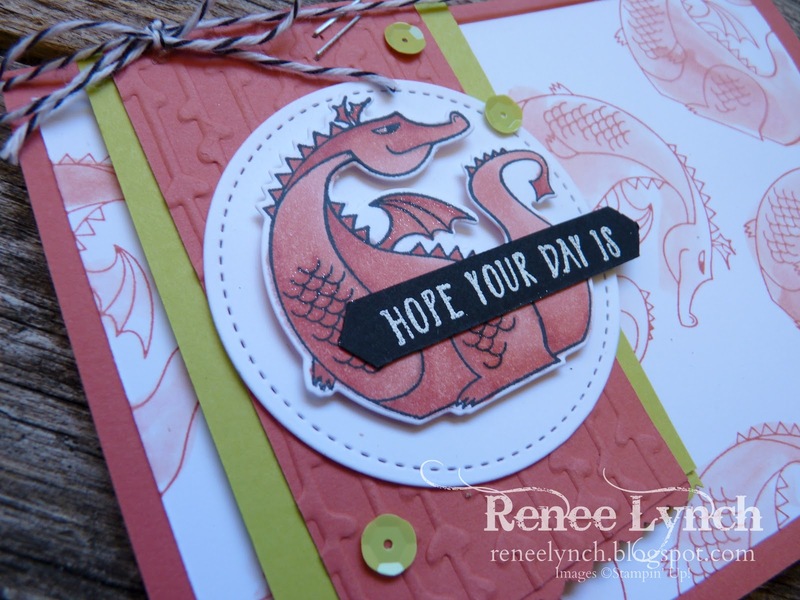 So I started out colouring the main dragon with our new Stampin Blends I really enjoy just sitting and colouring. Then I stamped the dragons in the background but they felt a bit lost so I decided to colour then with a aqua painter. I wanted to be rustic and have a washer look. 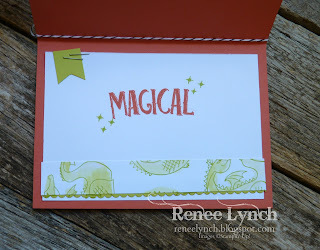 I then added a bit of texture with one of the Petal Pair textured embossing folders. 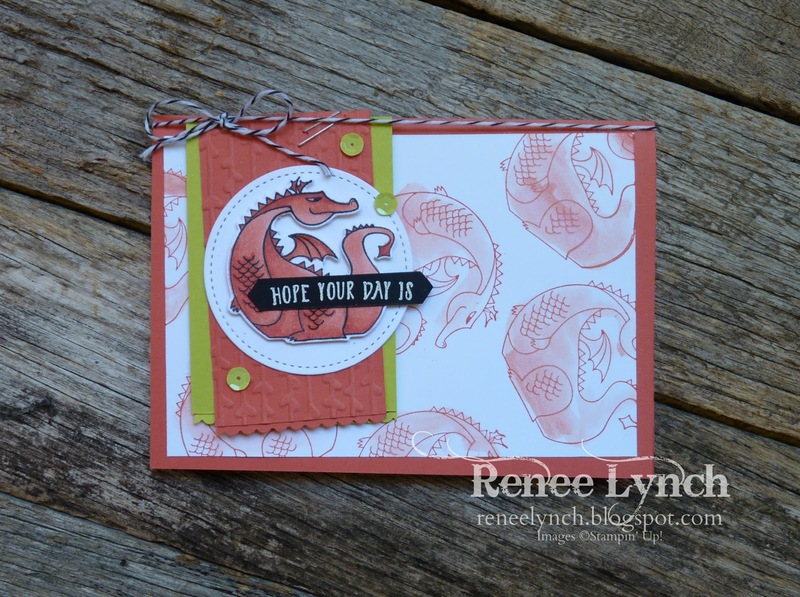 The circle I cut out using the stitched shapes dies one of my favourite dies. 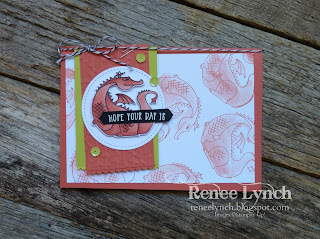 This super cute stamp set has matching frailest so the dragon was cut so easily using the big shot. The sentiment I masked off using a post it note so that only the “hope your day is” was stamped. I did this using versa mark ink and the heat embossed it with white embossing powder. The inside of the card I also masked the sentiment but this time I inked up the Magical part and added some stars and a strip of green dragons. Thanks so much for stopping by next up is Barbara happy hopping!